Learn keystroke (keyboard) shortcuts in Modern Editor. You'll have the most support for shortcuts in Chrome. Learn what you can do in this support post! We've developed some quick actions in Modern Editor to help users move around the tool quickly. The following table provides keyboard shortcuts for editing text in Modern Editor text blocks. We built in an additional word highlight shortcut in text blocks that works across ALL browsers and both PC/Mac platforms. In your text block, put your cursor on a formatted text in the text block, the tag applied to that text will show up in the lower left corner. When you are working on setting up your Styles (globally or on individual blocks) in your Modern Editor design you can use these editing shortcuts in your updates. From the edit content panel (left side) of the editor, click on the STYLESHEET tab. Then click on any Stylesheet section to edit it. 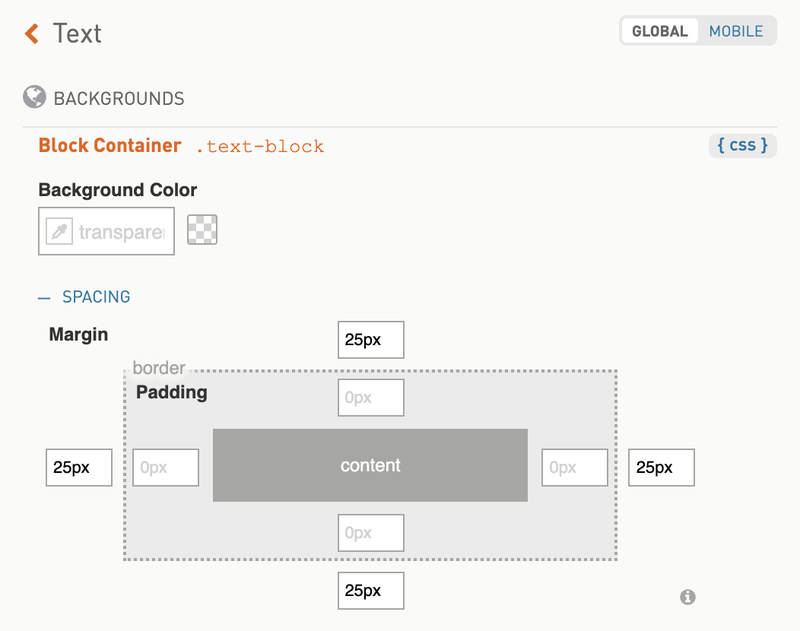 From the preview panel (right side) of the editor, click on any block and then click on the STYLES tab of that block. 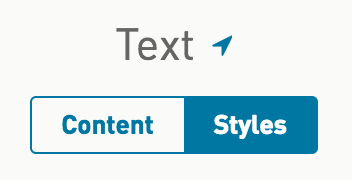 Click on any area in the Styles section to edit it.